Taste provides a comprehensive suite of interior design services—yachts, historic homes and coastal residences—to clients in Rhode Island, New England and beyond. Our specialty is renovation projects that enable us to be involved in the process from design to planning to construction. Peruse our portfolio and call or email to learn more about our personal approach to interior design, remodeling and renovation consulting. Lou Lou’s Decor opened its doors in the summer of 1998 in Tiverton Four Corners as a Boutique Home Furnishings store. As the client base grew so did the demand for interior design consultation. Filling that need, owner Stacy Carlson brought her passion for design to her clients. In 2005, expanded the interior designer staff to help with the growing demand for interior design services. The fall of 2009 saw big changes for Lou Lou’s as it made the move from Tiverton to Portsmouth, RI. In addition to featuring a large selection of beautifully styled furnishings and home accessories, the new store also has an in house design center where Stacy and her fellow designers help clients turn their houses into homes. At Lou Lou’s you will find superior quality brands like Lee Industries, Redford House, Manual Canovas, Scalamandre, Kim Seybert, Juliska , Barclay Butera, Somerset Bay and many more. Customization is a key at Lou Lou’s. Whether it is window treatments, tile and stone selection, slip covers or re-upholstery, Lou Lou’s provides a solution to your specific design needs. Cynthia Hayes has been designing residential interiors for over 20 years. After graduating with a BA in Fine Arts from the University of Vermont, Cindy worked in the advertising field while continuing her studies in the Interior Design Program at the Rhode Island School of Design (RISD. )In 1997 she joined the design team at Leonard’s Antiques the well-known and premier source of antique beds and high end reproduction furnishings. In 2010, Cindy started Cynthia Hayes Interior Design specializing in residential interiors, best described as classic, fresh and timeless. Her work can be characterized by clean and uncluttered solutions combined with beautiful and comfortable furnishings. Cindy works with highly qualified professionals and expert craftsmen and has a support staff for any size design project. She develops strong professional relationships and has been working with many of her clients for 10-15 years. Her work includes projects in Rhode Island, New York, Vermont, Massachusetts and Florida. In addition, Cindy has strong ties and a love for Nantucket island where she has worked on many wonderful design projects. A good home design professional will hone your style down to its very essence and be able to choose a functional layout that feels natural to you. Interior design companies can be involved as much or as little as the client desires. 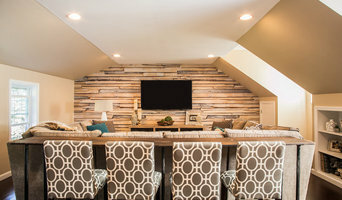 Many clients who hire an interior decorator in Jamestown, RI — particularly those who are remodeling — have a good sense of how the room should look and what products they should use. Often clients will insist that interior decorators use the products already present in the house. Other times a designer will need to start from scratch — especially if this is a newly purchased or just-built home. An interior design company will need to figure out exactly what the client needs, which includes organizing rooms, picking flooring and wall colors, and finding furniture to complement it all. Sometimes that means he or she will have to recruit help from other Jamestown, RI home professionals to help create the perfect look for your renovation. Here are some related professionals and vendors to complement the work of interior designers & decorators: Architects & Building Designers, General Contractors, Home Builders, Design-Build Firms, Photographers. Do your research before meeting with an interior designer or home decorator in Jamestown, RI. Ask yourself what you want your space to become and what it will be used for. Figure out the extent of what you need help with, what your must-haves are and what your budget is. Interior design services can add up fast, so be up front with a potential design firm or individual from the beginning. Also, pick an interior decorator that fits your style. Browse through the portfolios of different Jamestown interior design firms and decide if you would live in those houses. Just because you like something doesn’t mean you could live in it. There's a big difference! Find an interior designer or home decorator in Jamestown, RI on Houzz. 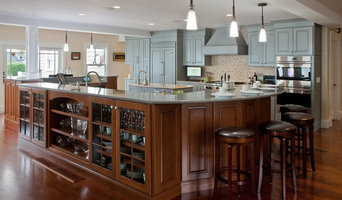 Narrow your search in the Professionals section to find Jamestown interior designers near you. 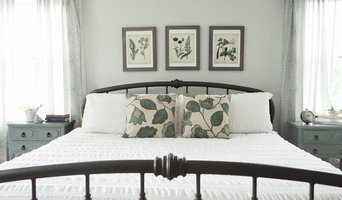 You can also look through Jamestown, RI photos to find a room you like, then contact the design firm who designed it.